Wedding is a day where two soulmates who are in love celebrate becoming one! So why not celebrate it in style. Many times brides get overwhelmed with what decor to choose for their special day. 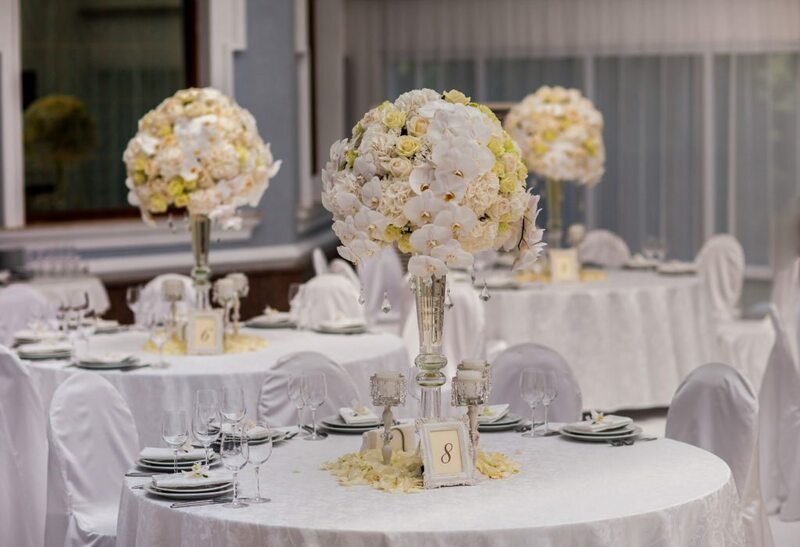 One way to make a statement is going with natural colors of white, creams, and yellows with our luxury wedding floral decor. 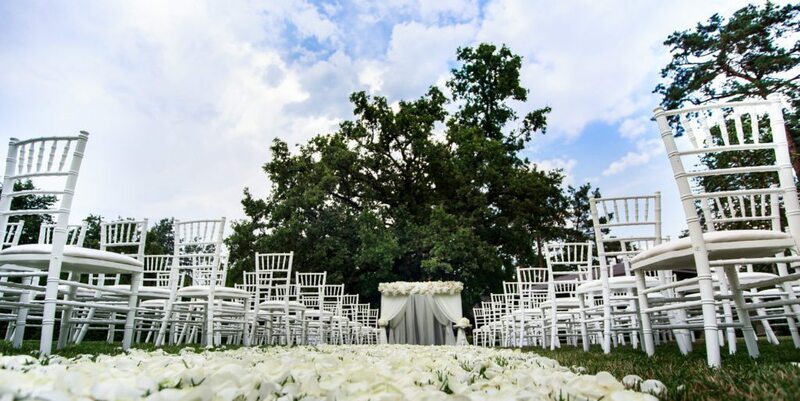 The idea of having a Chicago outdoor wedding is especially interesting because there are literally hundreds of way you can prepare your ceremony and reception flowers. Let’s start with ceremony site. 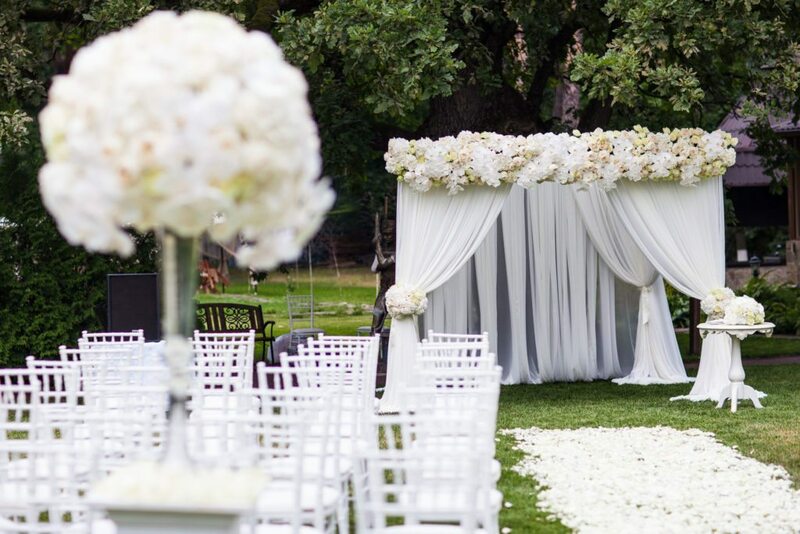 An easy element that can make a huge statement for your guests is using canopy for your ceremony. 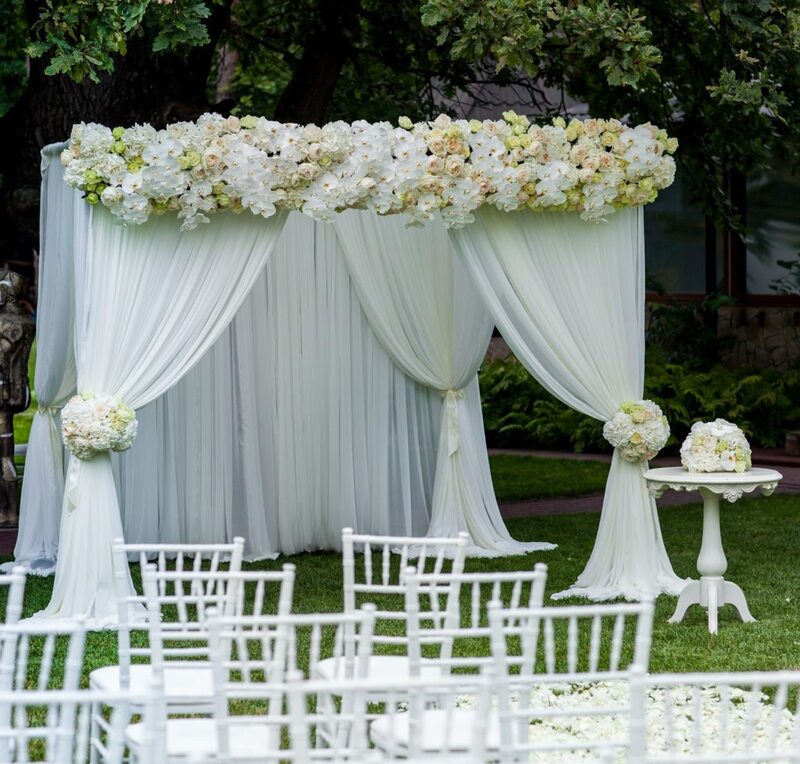 Canopy or Chuppah can come with multiple color fabric and can make an even bigger statement if your budget allows you to add floral arrangements. 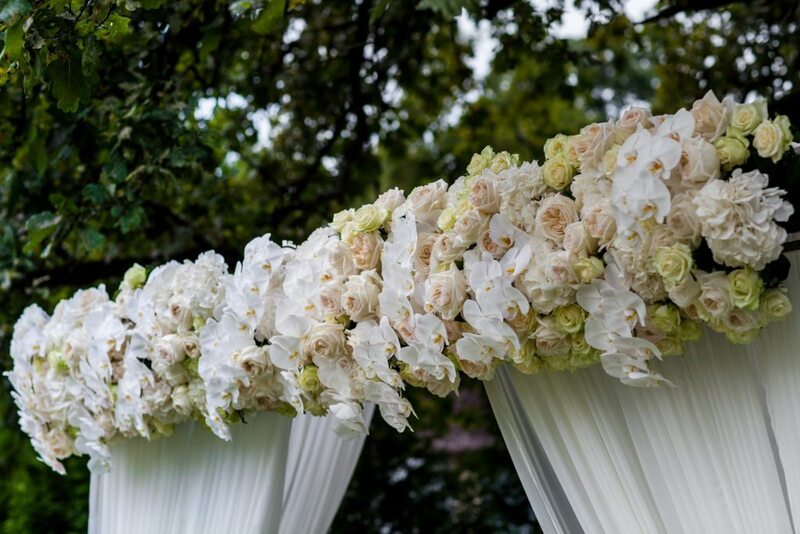 The below pictured Canopy was designed with “across the top” floral design using hundreds of Hydrangeas, different variations of Roses, and Phalaenopsis Orchids. To make the overall look clean and modern, “side” designs where used on the front posts. The use of Phalaenopsis Orchids gives us this beautiful cascading effect. To create a beautiful aisle for our bride we used standard columns at the beginning of the aisle with our reception centerpieces. We finished the aisle with hundreds of rose pedals throughout the entire aisle. As far as the reception designs go, the bride wanted the same centerpiece throughout her entire guest tables. This is a modern and very “in” look right now. It gives this romantic feel and it’s a dramatic yet absolutely stunning look for any space. Accompanied with candle light and rose pedals, the guest will enjoy sitting at a table of this kind. When designing flowers of this magnitude (this centerpiece is not small J ), we always want to make sure we remember the visual effect not only for the Photographer but most importantly for the guests. We must design flowers to angle down so that when seated, guest can look up and see the beauty of each bloom and not look at the stems. If you are looking to create a luxury wedding within Chicago area, don’t hesitate and call us today to book a free consultation. We can help you create a wedding of your dreams.